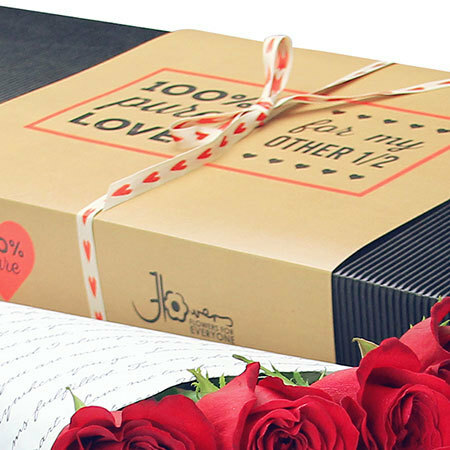 Get your romance on this Valentines Day and send your sweetheart a half dozen red roses elegantly nestled in our stylish rose presentation box, accompanied by a naughty box of sweet chocolate treats and a 750ml bottle of Chandon sparkling wine. 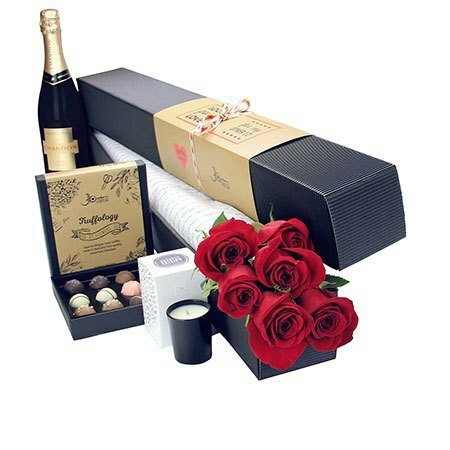 The combination of roses, sparkling wine and chocolates are simply the bomb when it comes to Valentines Day surprises! And these 12 premium Belgian-style assorted chocolate truffles, handmade in Australia from top quality couverture chocolate, are just the thing to enjoy with a glass of bubbly for a romantic night in to celebrate your love! PLUS our beautiful 60cm long Columbian red roses, bubbly and box of truffles (155g) also come with a FREE ECOYA candle worth $19.95! EARLY LOVE BIRD OFFER: Order your red roses delivered the day before Valentine`s Day (Monday 13th February) and receive FREE DELIVERY! 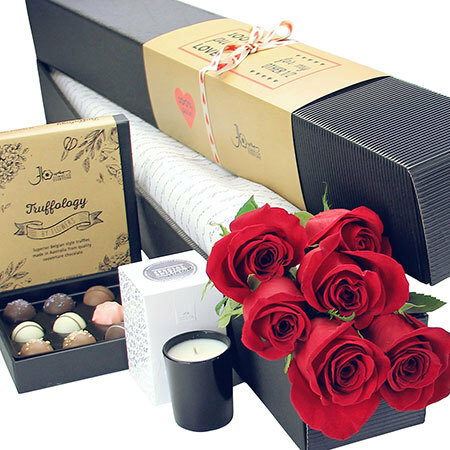 Our Valentines Day red roses, free Ecoya candle, chocolate truffles and unique packaging are exclusive to flower delivery in the SYDNEY MELBOURNE & PERTH Metro Region ONLY. Order your red roses, sparkling wine and scrumptious chocolate truffles now for Valentines Day via this online florist store, email our fabulous love cupid floral consultants at sales@flowersforeveryone.com.au or give us a call on 1800 66 66 46.